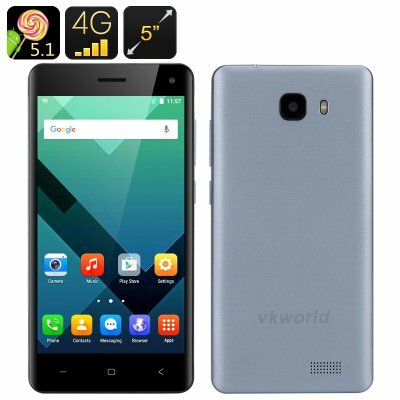 Successfully Added VKWorld T5-SE Smartphone - 5 Inch HD Screen, Android 5.1, Dual SIM, Bluetooth 4.0, Smart Wake, LED Flashlight (Grey) to your Shopping Cart. The VKWorld T5-SE smartphone is a powerful Android device with lots of features and a price tag that won’t disappoint. In addition to sporting a nice 5 inch HD screen and Android 5.1 interface, the phone comes with 4G on two SIM cards, Smart Wake, LED flashlight and more. 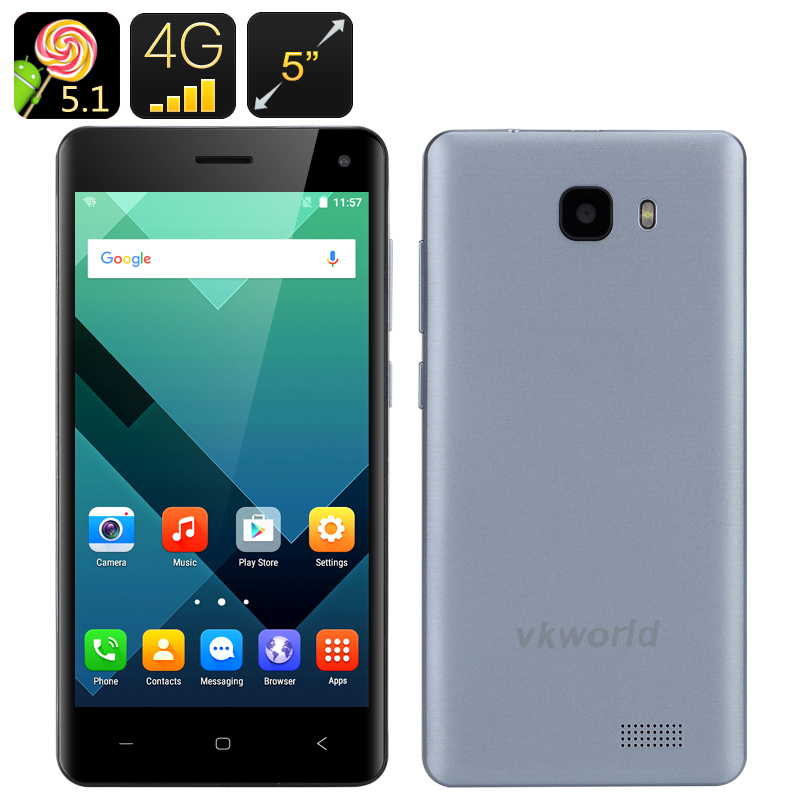 The VKWorld T5-SE is a classic Android smartphone with a set of nice features and a nice design. The 5 inch screen is of the optimal size of many users. It’s big enough to watch all your media in comfort and not too big to be causing inconvenience when using the phone on the go. Android 5.1 is the newer version of the popular interface and you will be able to enjoy and explore its many upgrades. Smart Wake is also one of the cool improvements. With it, you can simply draw a letter on the locked screen (“C” for Camera, “E” for browser, etc) and get instant access to that app. Super fast and efficient. The VKWorld T5-SE Smartphone comes with a 12 months warranty, brought to you by the leader in electronic devices as well as wholesale Android Phones..